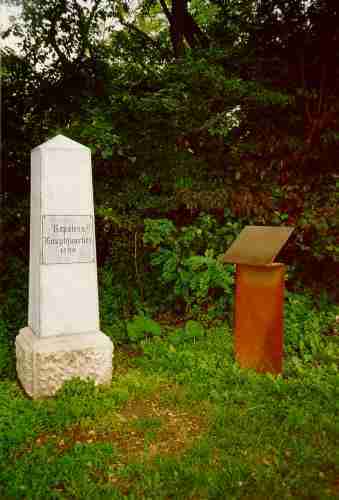 Near the gates of Vienna French and Austrians fought the bloody battles of Essling (for the Austrians: Aspern!) and of Wagram (now Deutsch-Wagram). There,Archduke Charles, Commander of the Austrian army, succeeded, May 21, and 22 1809, to push back the French Army ioverf the Danube, gaining what is considered as the first defeat of the Grande Armée under Napoleon command. After after a meticulous preparation, Napoleon crossed again the Danube in the night from the 4 to July 5, and, the 5 and 6 gained the battle of Wagram, which was to lead, October 13, to the peace of Schönbrunn. The battle fields are located in the plain of Marchfeld, between the Danube and the plate of Wagram, in the east of the Austrian capital. Not less than 22 monuments, steles or commemorative plates in 16 villages make it possible to find the traces of these two battles. A complete visit requires at least two days. The alphabetical list below will help with you to find there. Bockfliess. In this small village, it is recalled, by a plate, the action of the Radetsky Marshal to protect the Austrian retreat, after the defeat of Wagram. Deutsch-Wagram. 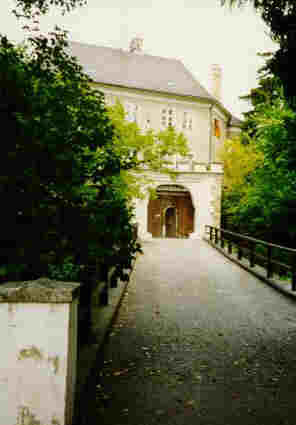 Here are: archduke Charles's headquarters, classified historic building and containing a very interesting museum (open only Sunday); the war memorial of Wagram (on the place where the Saxons, underwent terrible losses); the vault in the Sahulka park, to the memory of the four Austrian marshals killed during the battle; the place which ws used as store of ammunition by the Austrian reserve. Essling. Essential element of French defense, the granary of Essling, recently renovated , is hosting a small museum (open Sunday morning only) presenting, in particular, a diorama of the battle with 8000 tin soldiers. Glinzensdorf. 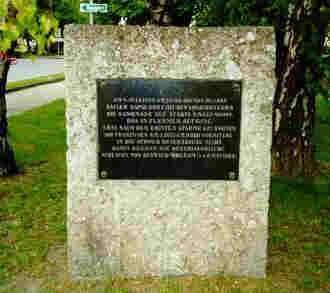 A plate recalls the combat which took place here, July 6 in the morning, between the avant-gardes of marshal Davout and the troops of the 4th Austrian army corps (General-Marschal Radetsky), during the first offensive of the Austrians against the French line. Gross-Enzersdorf. On the left side of the church, a stele recalls the bombardment of the city, from Lobau, July 4 at the evening, putting it in flames. It specifies that the village was taken by the french, at their third attempt, July 5 at 9 hours, which marked the beginning of the battle of Wagram. Lobau. 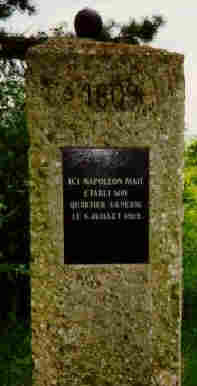 The island contains six steles (indicated by panels " Napoleonstein ") commemorating, since 1909, the memory of the presence of the troops of the Grande Armée, from May 10 to July 6, 1809: the bridgehead, the Napoleon headquarters, the Napoleon road, the french cemetery, the ammunition store , the passage of French. They have been recently renovated. 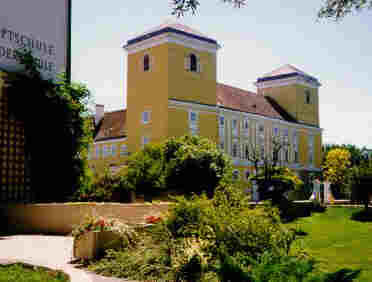 Kaiser-Ebersdorf. 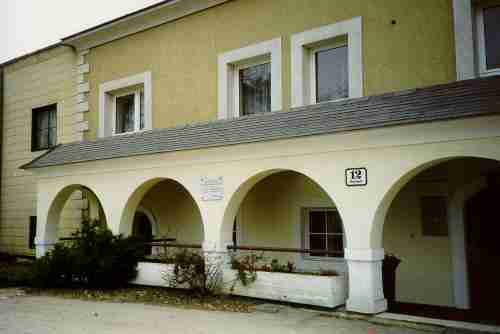 Napoleon remained here, probably in Thürnlhof (hosting now a restaurant), before and after the battle of Essling. Here also is the house where Marshal Lannes died. Markgrafneusiedl. Aside the castle with the Square Tower, which always exists, a stele recalls the importance of the operation of Davout in the course of the battle of Wagram. In the crypt of the neighbouring church, are the bones found on the battle field, and coming from the bodies burned by the fires which were propagated during the engagements. 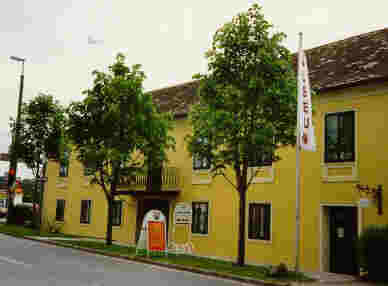 Parbarsdorf. 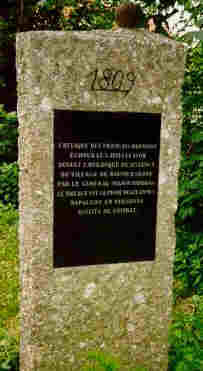 A stele points out the heroic defense of the village, July 5, by General-major Hardegg, during the attack ordered by Napoleon, at the end of the day. Pillischdorf. 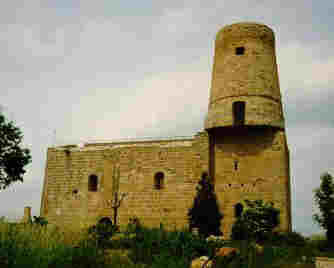 On top of a small height located in this village, Emperor Francis , with the spyglass, observed the battle of Wagram. Raasdorf. 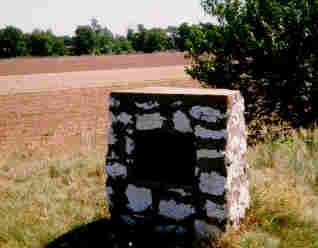 Between Aderklaa and Raasdorf, on a monticule, a stele marks the place of Napoleon's headquarters, from where he observed the operations on July 6. Sachsengang. 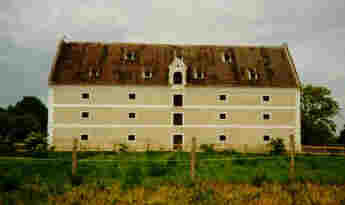 The catch, the morning of July 5, of this old castle, only kept by one weak austrian garrison, ensured the line of the French Army, at the moment of its passage of the Danube. Vienna. 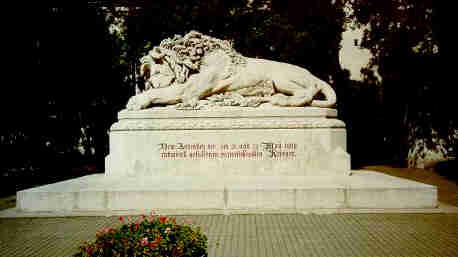 The equestrian statue of the archduke Charles, on Helden Platz (Heroes Place), is dedicated to the commander of the Austrian armies at Aspern and Wagram. 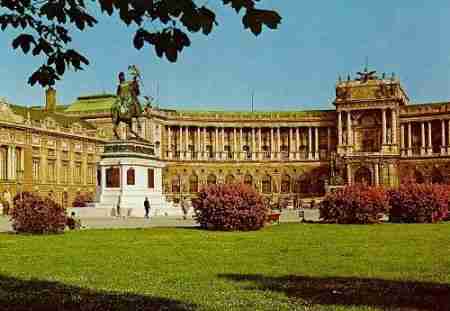 But the amateur will also visit the museum of the Army, in the Arsenal, Schönbrunn castle where Napoleon staid until end of October 1809, the crypt of the Capuchins, the Hofburg, etc. Wolkersdorf. In the castle were the Emperor Francis headquarters, during the battle of Wagram, as well as Napoleon's one, July the 7 and 8.